It seems the verdict is well and truly in on Bordeaux’s latest vintage, which has been the subject of extensive tasting and assessment by the world’s media and wine trade over the past month or so. Vintage 2016 is being widely hailed as exceptional, which means many wine-pages’ visitors might be tempted into buying. So as the en primeur campaign reaches its height I asked wine-pages’ sponsor, FINE+RARE, who have a considerable track record of trading Bordeaux ‘en primeur’, to give an honest assessment based on their buying team’s findings and experience. 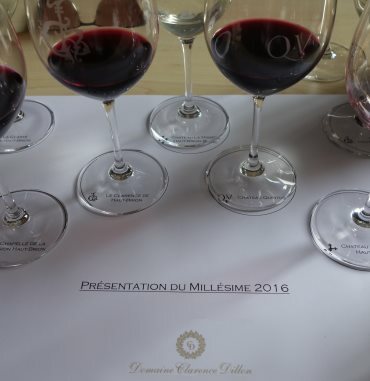 As Tom Cannavan highlighted in his May newsletter, the Bordeaux En Primeur Campaign has started with a bang and: “2016 is being hailed as possibly even better than the highly regarded 2014 and 2015.” Other experts have gone even further, drawing comparisons with the incredible back-to-back 2009 and 2010 vintages. All of the major wine critics have called it a great year, noting a multitude of “best ever” wines and awarding high scores at all price levels and in all appellations. At FINE+RARE we haven’t seen this level of excitement and interest surrounding a Bordeaux En Primeur campaign for many years. In short, if you like Claret, you are going to want to get involved with this year’s campaign. With the high quality of this vintage generally agreed by the experts, the next question on people’s lips is the pricing. Many wine merchants have been vocal about price rises. In reality, with the exchange rates as they are and the outstanding nature of the 2016 wines, an increase in prices over those of the 2015 vintage is a given. There is no doubt that, in the past, prices have been inflated in exceptional vintages, and that is bound to knock consumer confidence when it comes to whether they are getting value for money. The fact that the Bordelais have wrestled back a little control on pricing is therefore not surprising; they are protecting their brand and recouping some of their investments. Comparing prices between vintages isn’t always as straightforward as the wine trade makes out. The attention to detail and investment in all aspects of viticulture and vinification in Bordeaux is now so high, that to compare a wine from the 2016 vintage to one from a decade ago is often like comparing apples and oranges. These wines can be very different. At FINE+RARE we consider this year’s pricing in line with what we expected. Feedback from consumers has been overwhelmingly positive; it has been a long time since the appetite in the marketplace has been this voracious and the distribution of demand so global. Although FINE+RARE can’t speak for all merchants, what we have seen during this year’s En Primeur campaign to date is that even though there have been fewer releases at this stage compared to the last year’s campaign, there has been an almost 45% rise in the number of people engaged and they are buying in significantly greater volumes (over 70% up on where the 2015 vintage was at this stage last year). Releases from the top châteaux are selling out almost immediately, but due to the quality of the vintage, there are fabulous value wines available from all corners of the region. This campaign will continue to attract interest for some time yet. 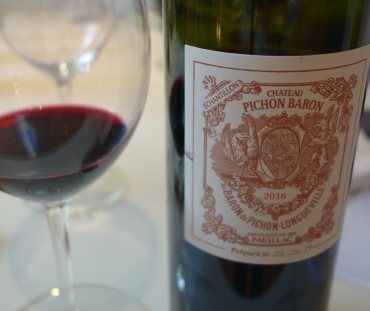 With the 2014 Bordeaux so well-received when tasted from bottle, the success of last year’s campaign and now this superb 2016 vintage; Bordeaux En Primeur has not attracted so much praise, attention and engagement since 2010. It looks very much like a Claret revival. If you do decide to engage with this year’s En Primeur campaign, we think Tom Cannavan’s advice of choosing “a reputable merchant with a track record in this area” is spot on, as buying En Primeur does carry an inherent risk. It is therefore important to choose a merchant with at least a couple of decades of experience under its belt. Beyond that, our advice is to be aware that many merchants are tied to specific wineries or producers, as a result their guidance may not always be completely impartial and they may not show you all of the notable releases, rather just the selection to which they have access. As we all know, wine is very much a matter of personal taste, one person’s chalk can be another’s cheese. Comparing a wide range of trusted third party reviews gives a clearer perspective and allows an informed decision to be made. FINE+RARE are offering 2016 Bordeaux en primeur.